F.A.I. 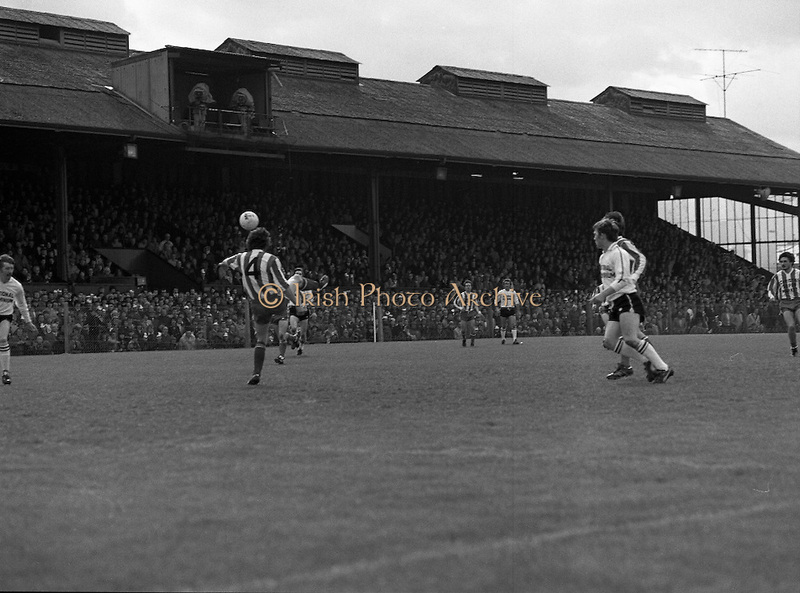 Cup Final at Dalymount Park. (N71).1981..20.04.1981..04.20.1981..20th April 1981..Today saw the FAI Cup Final played out at Dalymount Park between Sligo Rovers and Dundalk...Dundalk: Blackmore, McConville, Dunning, Keely, Lawlor, McKenna, Flanagan, Byrne, Crawley, Fairclough, Archbold...Sligo: McIntrye, Ferry, O'Doherty, Sheridan, McGeever, McGroarty, Fagan, Doherty, McLoughlin, Bradley, Patton. Subs: Coyle for Patton, McDonnell...The match was won by Dundalk by a two nil margin. The winning goals were scored by John Archbold and Mick Fairclough..Following are a series of action pictures of the match.